as solution for not spend lot of money, time and also more flexibility. DAY 02. 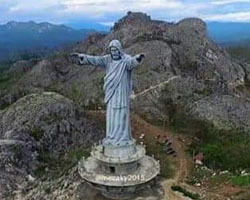 Toraja Tour, cross the Mountain from Batutumonga to Pangala' till Bittuang, stay overnight in Local people house in Bittuang. DAY 03. Bittuang - Se'seng, Rembon, waterfall and continue to visit Buntu Burake in Makale before stay overnight in Local house in Sangalla area. DAY 04. 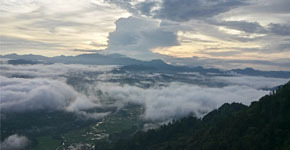 Toraja Tour visit Londa, lemo, ke'te' kesu' and Tampang allo, afternoon arrive in Rantepao and check in to Hotel. After breakfast than continue for 06 Hours to Tentena via Pendolo, You will fascinate with the view at Morari with Blue lake side before get to village call Meko, afternoon arrive in Tentena and stay overnight at Lake Poso side, swim is available. After breakfast than ride the bike for 05 Hours to Bomba village in central of Lorelindu National Park, afternoon have Megalith Tour to visit the prehistoric Megalith aroun Bada valley, afternoon back to Bomba for accomodation. Early breakfast than leave Bada Valley to Tentena, arrive in Tentena than directly continue for 05 hour to Ampana, arrive in Ampana check in to Hotel. 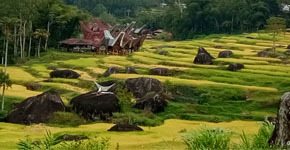 For approx 06 Hours riding on the scooter, you will arrive in Volcano town in Minahasa, where You will fascinate the 02 Volcanos Mahawu and Lokon., stay overnight at Hotel. it's also nice trails for trekking. with tipycal mountain area and on the top you will feel like on the sky where you will see the clouds in the valley and mountains sorrounded.